Amazon's Solution To India's 'Change' Problem: Amazon Pay! Has Amazon Found The Answer To India’s ‘Change’ Problems With Amazon Pay? This may bring a huge social impact if other e-commerce portals adopt this model too. Arun Roy, a 31 year Delhi-based old IT professional, claims that he donates approximately Rs. 4000 a year unofficially to the society. Throughout the day, he let go Rs.10-15 everyday as the shopkeepers, autowalas, vegetable vendors etc. don’t offer him the change. Sometimes, he gets candies instead of Re.1/Rs.2/Rs.5 coins. Reminds us of the famous lozenge ad – Chhutta na mangna. The change crunch has also got into the bigger leagues too. The Cash on Delivery (CoD) transaction in the ecommerce space (be it food, cloth, basic amnesties) often gets escalated as unsatisfied service due to availability of change with the delivery agent. Amazon has probably the first one to discover the solution to this change problems. Amazon has launched a service for its CoD customers, where the delivery agent can upload the remaining balance onto the customer’s Amazon Pay wallet. If there is any issue with the change, you can ask the delivery agent to upload the balance. 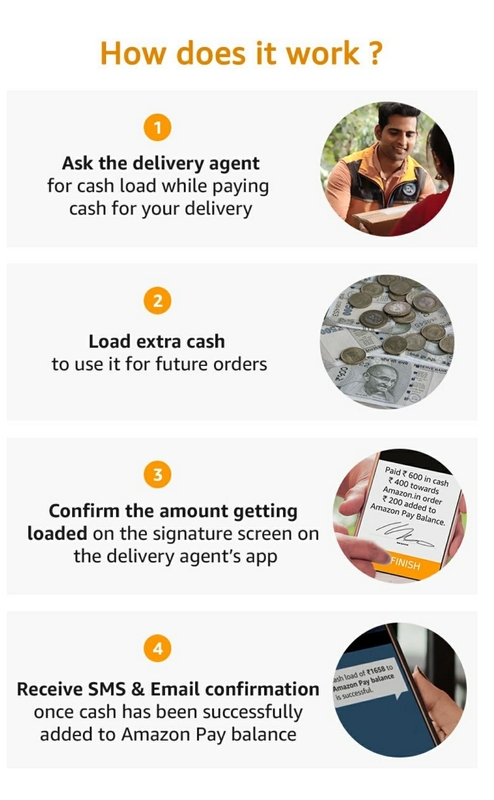 You need to confirm the amount loaded on the signature screen of the delivery agent’s app. We expect Amazon Pay wallet to become richer and stronger considering the customers gives a thumb up to this virtual platform. The timeline between recurring transaction is expected to reduce significantly as the customers would like to utilise their Amazon Pay balance. It will increase digital transactions and in return will open the door for government incentives. Tax experts expect the government to announce incentivisation schemes in the upcoming budget for digital transactions on ecommerce platform. Even though it addresses the ‘change’ problem in India, people may not welcome the development in the right spirit. Since its going to be the wallet business, Amazon may get pressurised to get every wallet linked to Aadhaar. That’s going to be a bit of work for Amazon. Irrespective of all the challenges, Amazon’s effort to address the ‘change’ problem definitely gives a food for though to all the other e-commerce platforms and cash dominated businesses. Next time, you are offered a candy, you have all the right to ask for transferring the balance to your Paytm or other ewallet account. "Has Amazon Found The Answer To India’s ‘Change’ Problems With Amazon Pay? ", 5 out of 5 based on 2 ratings. How To Become An Online Seller In India: 5 Easy Steps To Be E-Commerce Ready! Plans Offering 1GB Daily 4G Data & Unlimited Calling Compared! Amazon Cracks The Whip On Excessive Returns; Users Getting Banned For Return Abuse!